Bent’s Old Fort National Historic Site is a reconstructed 1840s adobe fur trading post on the mountain branch of the Santa Fe Trail. The Koshare Indian Museum features a world-renowned collection of Plains and Southwest art and artifacts. 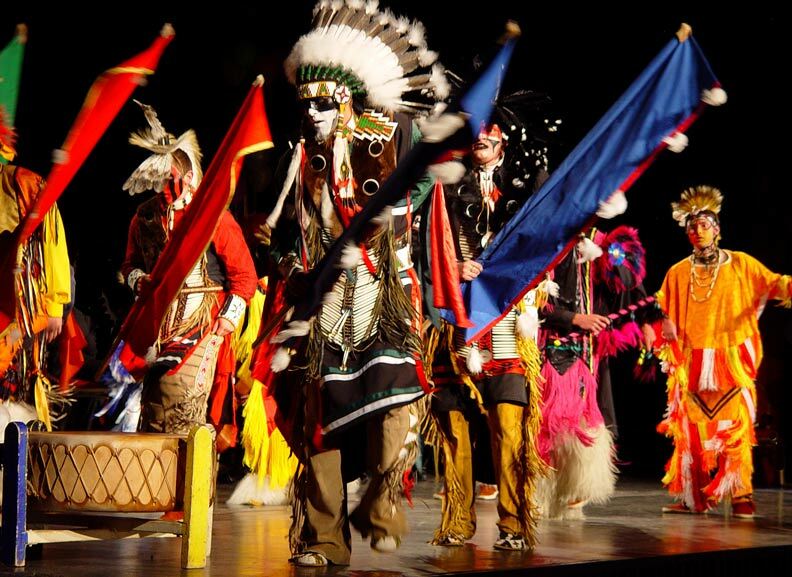 It trains a youth dance group which performs in its Kiva and on tour to large audiences. Otero County (population 21,000), established in 1889 and named for one of the founders of the town of La Junta, has a rich historic heritage. Eighteenth century French trappers, Spanish missionaries, early Mexican homesteaders, Southeastern Plains tribes, Mountain Branch traders, those who set out on the Santa Fe Trail and the military have all contributed to the local story. Agriculture and railroad related industries dominated the economy. An Army Air Force pilot training base helped sustain the community during World War II. Following the closing of the primary local employer in the 2000s, there has been a new focus on diversification and regionalism. Renewable energy bio-diesel companies and other manufacturers have been recruited, and tourism related to natural and cultural assets has become a major economic focus. Otero County has 11 properties on the National Register of Historic Places and nine on the state register. The Comanche National Grassland, recently named one of Colorado’s most endangered places, has 540 sites eligible for listing. Reclaimed from land devastated by the Dust Bowl, it includes Vogel and Picketwire Canyons, with significant prehistoric archaeology, rock art, and dinosaur tracks. Recently, historic theaters in the towns of La Junta, Fowler, and Rocky Ford have been surveyed. The historic 1935 Grand Theater in Rocky Ford has been stabilized and restoration of the original seats is being done on a rotating basis to keep the theater in operation. Lions Club members refinish the floors as seats are removed, and school, church, junior college and community volunteers operate the theater – the only working theater between the Kansas border and Pueblo – each weekend. Funding from the Colorado Historical Fund is being matched by the Grand Friends, a non-profit civic association. Bent’s Old Fort National Historic Site attracted 28,000 visitors in 2005, contributing over $2 million to the local economy. It is a reconstructed 1840s adobe fur trading post on the mountain branch of the Santa Fe Trail, with a museum, guided tours, demonstrations, reenactments and special events. Over 30,000 visitors came last year, attracted by new program initiatives. In 2006 the Fort reestablished a living history training event for teachers and volunteers to carry historic knowledge and skills back to classrooms and historic sites. Twenty-one participants from five states took part. The National Park Service has partnered with Otero Junior College, the non-profit community theater, students and community members to produce Voices Under the Wind, using dramatized primary sources to interpret local history. Based on a 1976 play, the revival was presented in August 2006, adapted for radio, and recorded before live audiences as a fundraiser. It is now available through broadcast and podcast at Bent’s Fort and a touring production will travel around the region this summer. Other interesting local heritage tourism programs include “Ghost Stories of the Spanish-Speaking Southwest, ” a Santa Fe Trail Caravan which took a freight wagon and oxen out on the Trail, and an Explorer’s Encampment featuring recreated camps of Pike, Long and Fremont, attracting over 1000 visitors for a long weekend. The local Koshare Indian Museum features a world-renowned collection of Plains and Southwest art and artifacts. It trains a youth dance group which performs in its Kiva and on tour to large audiences. Other museums with archives and interpretive programs include the Otero County Museum, the Rocky Ford Museum, and the Fowler Historical Society and Museum.